Your holiday hotel with kids club for activities and cuisine. In the southern part of the Bavarian Forest, an imposing low mountain range in Germany, which together with the Bohemian Forest forms the largest forest area in Central Europe, lies the resort Bodenmais. 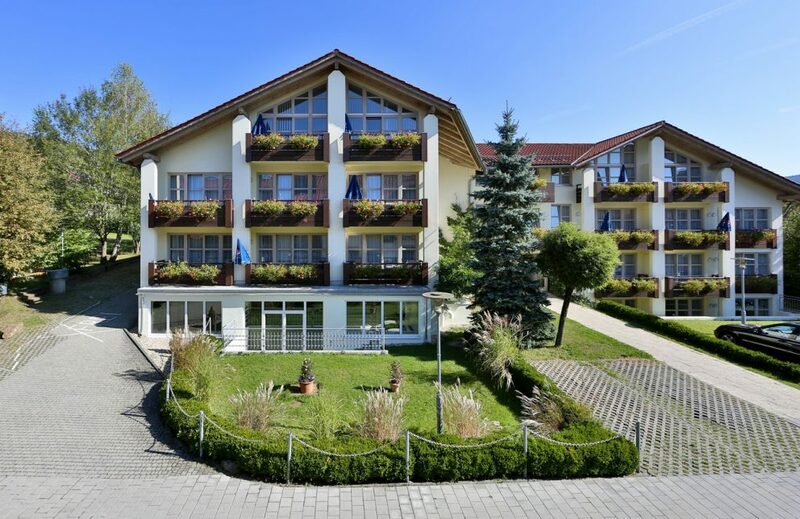 At the foot of the Großer Arber, a popular winter sports area, Bodenmais is one of the most famous holiday resorts in Bavaria. Especially the mining industry and the glass industry have shaped this region. Visit glassworks and glass processing companies or relax in the beautiful nature. If you want to visit Europe’s major cities, such as Vienna, Munich and Prague, Bodenmais is right at the center of your trip. The sonnenhotel FÜRSTENBAUER welcomes big and small guests. With the Sonnenwolfi Kids Club children from 3 to 12 years are well looked after during their holidays. Action, fun and a good mood are guaranteed. And the little ones come to rest with their mothers in the mother baby lounge. The 81 rooms are comfortable and suitable for families. The large family room can accommodate up to four children. Some rooms enjoy a special panoramic view of the city and the surrounding area. Wellness, recreation and bathing fun can be found in our wellness area. The spacious pool with waterfall shower and massage jets can serve as a meeting place for the whole family. We also heat our sauna for you in the morning. Our beauty salon will spoil you with soothing massages and beauty treatments. We also offer children’s wellness: during a children’s massage, our young visitors learn to relax. We offer traditional Bavarian cuisine and all kinds of seasonal delicacies at our theme buffets. For breakfast and dinner, we have prepared a wide variety of dishes for you. And in the afternoon you can have a coffee and cake or a snack on request. Arrival times between 3.00 and 6.00 pm, departure time until 10.00 am. Our restaurant hours are breakfast: from 7.00 to 10.00 am, afternoon snack: from 3.00-4.00 pm, dinner: from 6.00-8.30 pm. Pets are welcome (6 €/day). The nearest train station is directly in Bodenmais (about 1 km away), the nearest highways (A92 & A3) are about 33 km away.